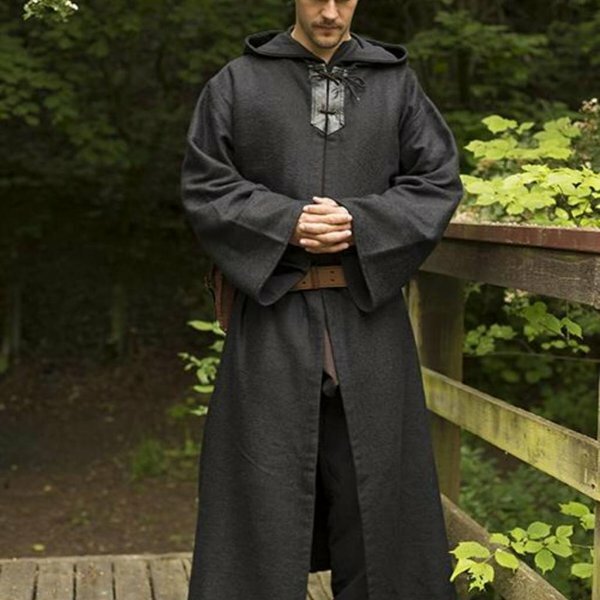 This coat is suitable for historical and LARP and Cosplay characters. 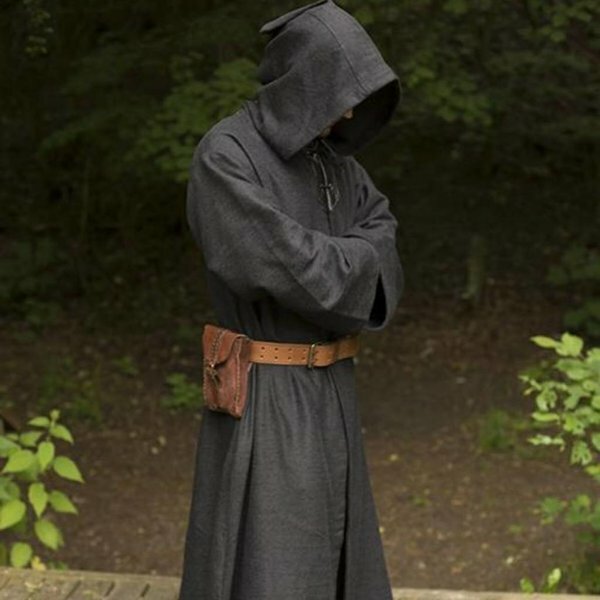 You can, for example, wear it as a medieval monk, but also as a priestess or sorcerer, for example. This robe has wide sleeves and a large hood. At the neck it has a leather piece with a cotton lace to close the robe.